Me and my fellow buccaneers find Siri very helpful. One of the many actions Siri can do is to locate WiFi hotspots nearby. There are many ways to find WiFi hotspots near you. You can search for them on Google, refer to WiFi hotspot maps, visit forums, or post a question on community powered question and answer boards. 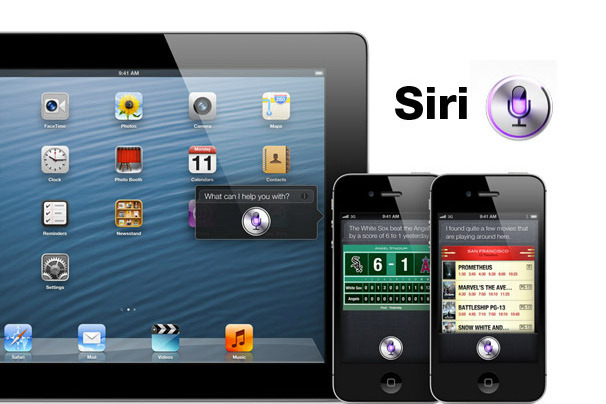 However, you may realize that using Siri can be the easiest and most convenient way to do this. The steps on how to use Siri to find a near WiFi hotspot are very simple that even young lads can follow. As mentioned earlier, Siri can do actions through verbal instruction. Talking to Siri is all you need to do. Take note me hearties that your iPhone has to be connected to the Internet for Siri to work. This means that you need to be connected to a 3G or HSDPA network. GPRS may not be enough to have an enjoyable experience with Siri. Most longtime iPhone users recommend that you use Siri through WiFi to avoid high data charges from your mobile service provider, unless you are on an unlimited plan. Ye buckos can ask Siri a question, command it to do a search, or do a request to display a list of WiFi hotspots. The most important keywords are “WiFi,” “hotspot,” and the location. When you use the keywords “closest” and “nearest,” this would mean that your iPhone would have to use GPS first to find your location to be able to properly provide the information you need. Consequently, this would mean that Siri might take time to offer an answer if your iPhone still needs to track your location via GPS. As such, it would be more efficient to simply state the location you prefer. This entails less work for you and your phone as well as faster results from Siri. 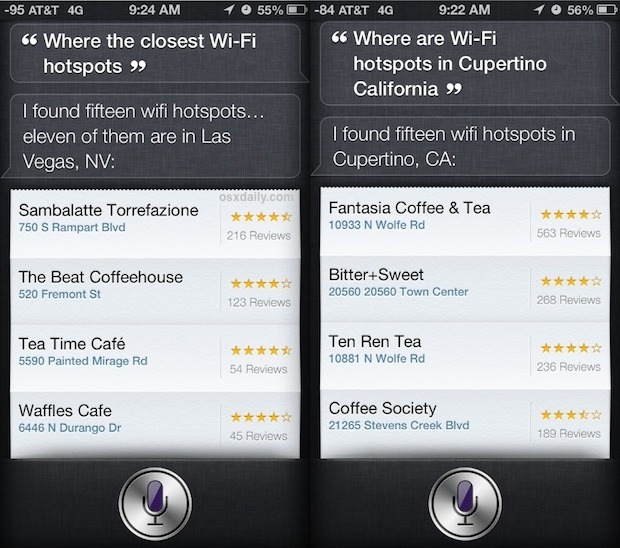 Siri is known to have a strong preference for listing coffee shop and café WiFi hotspots. This is considerably fine for most occasions since coffee shops are generally good enough places for enjoying WiFi Internet access. However, if ye fellows want results for WiFi hotspots in locations other than coffee shops, you would have to use additional keywords like “malls” or “restaurants.” You may also specify that you intend to find hotspots in libraries or museums if you prefer some place quiet. Using Siri to search for WiFi hotspots is particularly convenient when you are driving or when your hands cannot be fully devoted to operating your iPhone to do a traditional web search. Yo ho ho! It can make you do several things at the same time. It may just sound a little ironic that you also need to be connected online to be able to use Siri to look for a WiFi hotspot. Nevertheless, Siri does a great job in locating WiFi hotspots although it may not be as effective in remote places or in some locations outside of the United States.